With so much focus today on consumerism, materialism, and corruption of power in the world, we have to wonder what is happening to our children. We live in a society that rewards people for overproduction, consumption, and mindlessly following what we are told. These are the things our children will inherit if we do not step into our power now. We must ask ourselves what is the legacy we are passing down to them. We must be willing to take steps to work on these very things within ourselves by turning towards community and like-minded people, who have an invested interest in changing the world. Children predominantly learn from the people around them. Instead of collectively reflecting our wounds, we should be focused on coming together in community to set a healthy example for the next generation to come. If we raise children with an absence of a true, authentic connection to Spirit and nature, they will inherit the cultural wound of separateness and superficiality. To walk a shamanic path is to feel into and understand the interconnectedness and relationship of all things in the big web of life. The core of a shamanic practice is about relationship and the depth of it. Children are still connected to that web, and can teach us as much as we can teach them. It is our job as the guiding generation to not crush their innate gifts and support them, with ourselves as the trellis on which their precious vines grow. The conception of my son was surrounded by confusion, blame, trauma, and chaos. It took me years to understand the emotional baggage I was carrying. 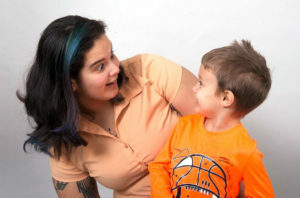 At eighteen, while struggling with my own sexual identity as a lesbian, I became pregnant following non-consensual relations with two different men, so the identity of the father was unclear. It was even more of a challenge raising him, since my parents lived in a different country, and my son was born emotionally sensitive. He was fussier than other babies, reactive to people’s moods, and seemed strongly tuned into the world around him. From the beginning, I saw him for the true light he is and I did the best I could in raising him. It seems in our contemporary society that we are conditioned to accept a lot of cultural programming. I soon noticed that many of those influences were reflected in how I was raising my son, and I wanted to change that. 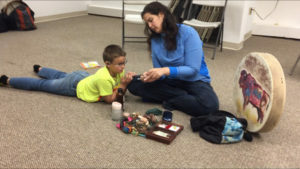 By adopting such practices as shamanic journeying, a daily altar devotion, an effective emotional clearing practice, participation in ritual and ceremony, and basic consultation with local spirits of the land and elementals, I was able to respond differently as a parent and share with him what I was learning. I was always surprised at the ease and grace with which he responded to some of his journeys and experiences while I puzzled over mine for a week or two. He helped me to develop that sense of ease and wonder, and growing up became less scary for me. There was one time in the car when he was four years old. He was asking about his dad, and kept rattling on with different questions. I was too choked up to really respond as I looked up at him in the rear view mirror. Then, all of a sudden, it was like a stroke of lightning hit him. I saw his expression change as he went silent for a moment, then spoke, “Mommy, I got it! I just don’t need a dad because you’re both my mommy and my dad!” Shocked, I asked him where he got that from, and he responded without any hesitation, “My white wolf told me”. As I reflect on the years of raising him, it seems to me that true self-healing means you have to let go of what society, culture, and your family have given you as core beliefs. My son constantly reminds me about deepening my roots and going back to my childlike sense of wonder—the original program I was given by my spirit. In my life, he has been my greatest teacher. In the early years, it was easy to keep him on the same spiritual path as I. 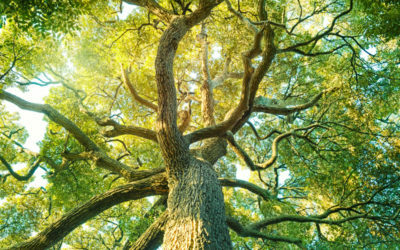 It was easy to have age-appropriate discussions with him about energy hygiene and maintenance, and connecting to the natural world. He was joyful, loving, filled with inspiration and hope. Before the age of 6, he loved to journey and dance with me, doing the same activities as I did, and liked taking walks in the woods or talking to trees. But then he started going to school. I prepped him for it, because I noticed his eagerness in telling almost anyone that would listen about the amazing adventures he and his helping spirits had. 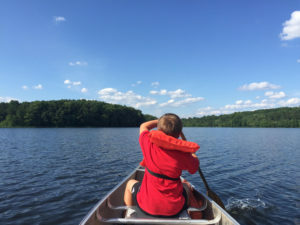 I explained how sometimes other adults might not think the same way mommy does, and he should be careful about what he shared with others and with whom he shared it. He understood this on one level, but experiencing it in a public school system was a different story. One day he came running home, crying because another kid had made fun of him about talking to his helping spirits under his breath. He immediately started disconnecting from the spiritual, pulling away and resisting me instead of joining along. I started leading journey groups, and instead of it being “fun” for him like it used to be, he commonly got bored, and occasionally would become disruptive. The meditations we did together were no longer fulfilling; instead they became something “my mom does,” and he would roll his eyes whenever I suggested it. The helpful tips that he used to look to me to give, soon became disregarded. Talking back and being rude were growing steadily more frequent. One could argue that this is a normal part of child development. However, it goes to prove that even something as captivating as shamanism is not immune. My reaction was to feel frustration, angst, and self-blame. I wasn’t doing enough to make my kid feel more connected. It was “my fault” for not focusing hard enough on him, even though I thought I was doing everything I could. 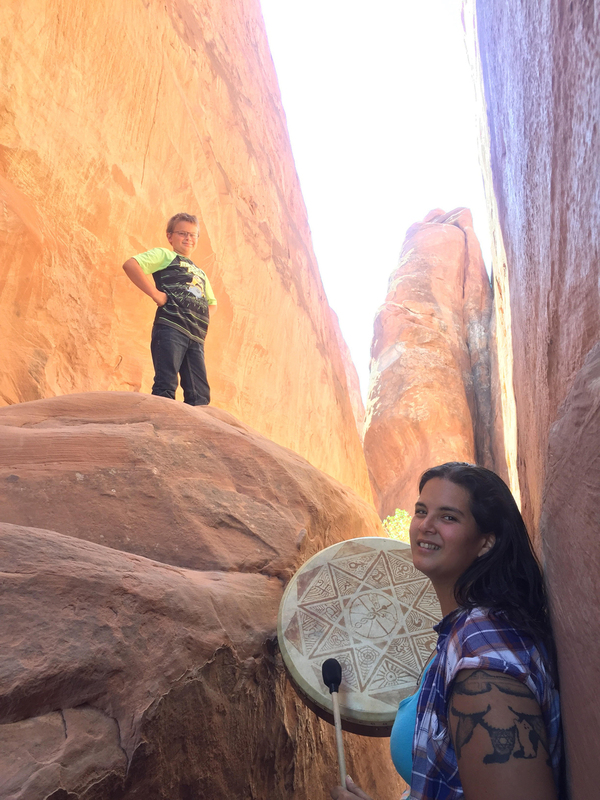 It wasn’t until I deepened my path with shamanism that I realized how much my son was acting as a mirror for me. He was modeling for me my own disconnection and sense of not belonging. It wasn’t until I engaged at this depth of understanding, that I was able to find a way to make him feel like his needs were being met and we could explore this context together. 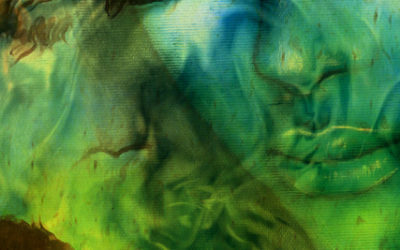 I was exploring the depths of my own shamanic world while leaving him out of it—which I found was the wrong approach. He is a part of my world, and thus is a crucial part of me understanding myself. By the time I began to cultivate a deeper sense of compassion within myself, he was 7 and of the age where he could make informed decisions about this on his own. To remedy his pain and insecurities about being teased for having helping spirits in the first place, I found and networked with other parents who openly discussed these spiritual things with their children. I found family-friendly festivals where he could participate in group ritual. If things got to be really challenging and I wasn’t able to find something in the area, I would invite him to participate with me during group rituals and ceremonies via online webcasting. As soon as he was able to see that there were other kids that were doing this, and he wasn’t the only one with a weird mom, he slowly started coming back to opening up. Just as finding community strengthened me, finding community also strengthened his connection to spirit. 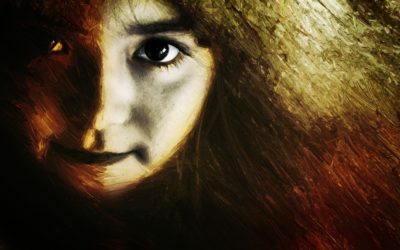 I started examining what about the situation I was taking personally, and kept asking my helping spirits how I could improve my relationship with him. This way it didn’t infringe on us by forcing things to happen, but instead allowed change to naturally occur. 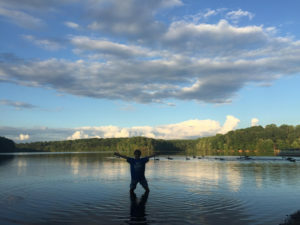 When I organically used the shamanic principles I was learning from my teachers and applied them in my own life, I found a way that allowed my son into the picture easily and effortlessly. I found that what I was doing before was just slapping together different aspects of living a shamanic life and expecting that it was enough. It wasn’t until I leaned into the teachings and allowed all aspects of my life to become shamanic, that a dramatic impact on my relationship with my son transpired. I have great gratitude for the Cycle teachings and Christina Pratt, one of my shamanic teachers, for really driving that home. My own healing accelerated as soon as I invested in a true shamanic community that came together to live the same principles. It was the shift in realization that living a shamanic way of life couldn’t just be relegated to my healing practice, but also demanded a role in every relationship that I had, leading me to see the interconnectedness of it all. The best I did for my son was to step into an authentic transformational process and allow my true life’s purpose into all avenues of my life. Originally, I was trying to prevent him from seeing into my deeper healing. It wasn’t until later that I noticed when I got upset, he would act it out. Christina teaches that young children ground or cord to their parents because they don’t have their own sense of grounding. That is why a mother, father or caretaker of a child can sense when something is happening to them, because they feel the energetic tug of danger on their own grounding cord. In the beginning, children depend on us to tell them what’s right and wrong, what is dangerous and what is not, which means that we have to model for them how to live in a sustainable way. We should teach children the skills they need to be able to ground to the earth and web of life instead of to others (which creates codependency). We need to develop the skills that allow us to model the deeper changes we want to see in the world. What I was doing initially was only allowing a shamanic way into parts of my life. I was compartmentalizing my spiritual practice and that inconsistency affected my relationship with my son. When operating in a wider world of public school, if he suppresses aspects of himself, will he learn to handle criticism? I find that putting challenges in front of him makes him a stronger kid. What we should be teaching kids is resilience. Children are naturally resilient to begin with, but when they start inheriting our inability to process emotions, and are taught to hide things because other people might not accept them fully, then we have to ask if this is sustainable. Are we truly raising children who can dream a better dream than we have? What I have found that works for my child, who is now nine, is a rich engagement in the activities I am doing. This past summer, we were out hiking a butte in Utah. When we were almost to the top, our party saw lightning with looming rain clouds off in the distance. We all felt the rumble under our feet, and my son froze in fear. He started crying and panicking, refusing to go any further and demanded we run back to the car. Being the momma bear, I sat down on that rock and stared at the clouds. His panic grew and his pleas became more frantic. I calmly told him that I wouldn’t comfort him until he calmed down. Once it became evident that I wasn’t moving, he finally took a couple of deep breaths and sat down next to me, ready to listen. I explained to him about how sometimes when we let fear control us, we are choosing fear instead of love. When your heart is filled with love, you see the lessons in all of nature around you. 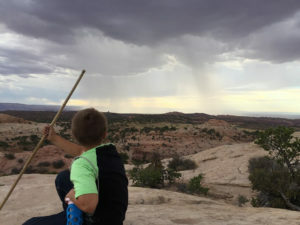 It was there up on that butte that he learned how to count the distance from the lightning strike to the thunder. We giggled when he realized the storm was over twenty miles away. I allowed that message of fear to be taught by the thunderstorm, and he looked up at me saying, “I choose love”. Admittedly, in the beginning of my shamanic path, I was using my shamanic training’s as an escape from having to be a parent and an opportunity to be me. As I came to a deeper understanding of myself in the world, I realized that my son is an expression of me, but one with his own brain and heart and the ability to make his own choices. What I can do as a parent is model good choices and allow him to choose his own path. Be more open and authentic with our children, having age appropriate conversations about the struggles we face in life. Find like-minded people to practice with. Practice shamanic skills and learn through trial and error. Support one another as we each seek perspective from our helping spirits on parenting issues that arise. To teach our children to have depth, we have to have depth within ourselves. To understand the proper way to raise a child also means to understand the cultural illnesses that affect all of us and how we can better demonstrate to our children how to be less influenced by them. If we change the dream of one generation, we can change the world. Stephanie Seger is a shamanic practitioner and healer in the Northern Virginia, Washington, D.C. area. She has been exploring shamanism since 2003, and has trained with such teachers as Mary Tyrtle Rooker and Christina Pratt. She has been heavily influenced by Sandra Ingerman, Betsy Bergstrom, and Evelyn Rysdyk. With a full range of shamanic skills such as soul retrieval, compassionate depossession and extraction, her favorite involve land healing and curse unraveling. She is a current member and leader on two councils within the Last Mask Community, a nonlocal shamanic community founded by Christina Pratt and the Cycle teachings. You can find out more about the events and services she offers by visiting www.eagletherapies.com.